Last week the District of Columbia celebrated the life of an everyday hero with a Homegoing celebration that was fitting a king. 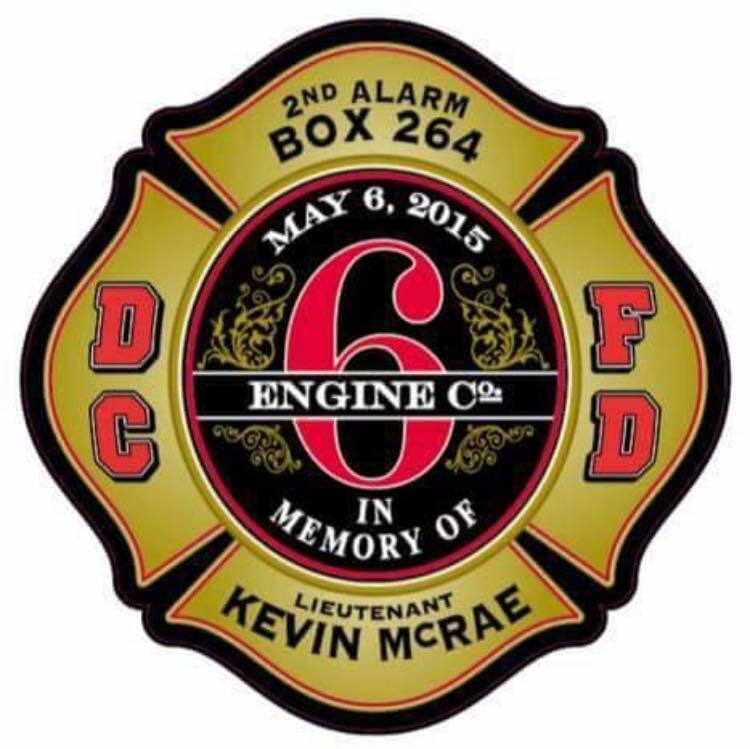 The hero’s name is Lt. Kevin Andre McRae, a District of Columbia fire fighter, who passed away moments after extinguishing a 2-alarm fire in Northwest DC on May 6, 2015. 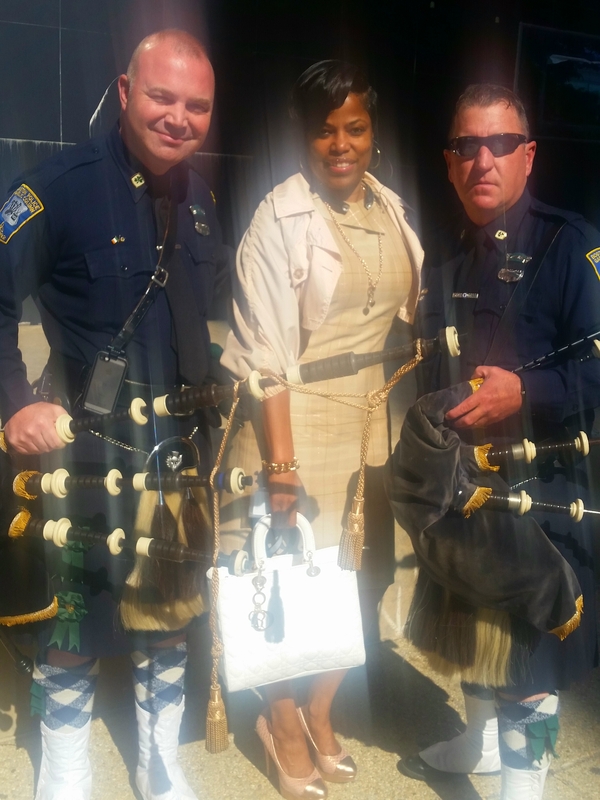 Interestingly enough, the day before my friend’s Homegoing celebration, I ran into some members of the Boston Police Gaelic Column who were in D.C. for National Police Week, and I asked them if they were in town for the Lieutenant’s funeral. They were not in town for the funeral, but I asked to take a photo with them anyway and they obliged. I really thought their kilts were cute! I was wearing plaid and they were wearing plaid so it was a great photo opp! The Boston Police officers informed me that the D.C.F.D. would have their own Gaelic Column at the Lieutenant’s funeral, and boy were they right! 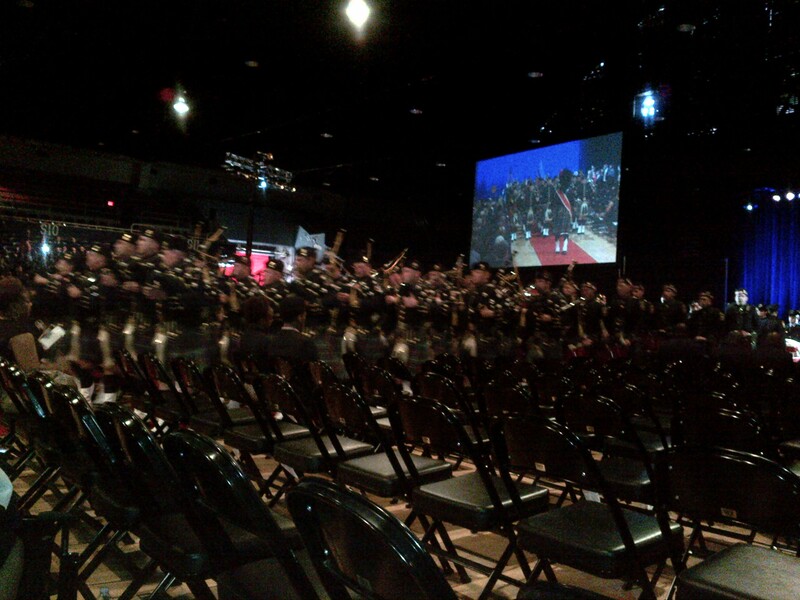 There was a Gaelic ensemble who played at Lt. McRae’s funeral and it was one of the most moving parts of the ceremony. 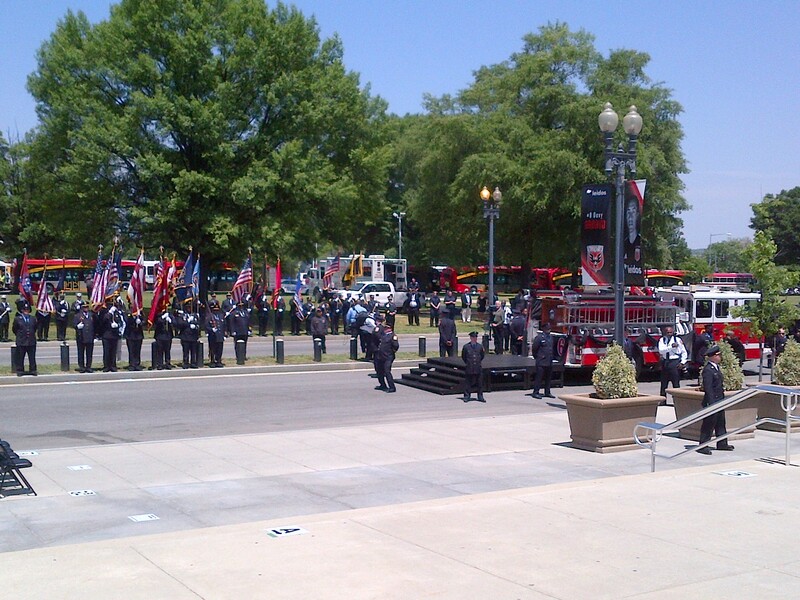 The most recognized firefighter funeral tradition is the playing of bagpipes. The tradition of having bagpipes at firefighter’s funerals goes back to the 1800s when Irish and Scottish immigrants were usually forced to take the difficult and dangerous jobs that nobody else wanted. The other identifying characteristic of these ceremonial performances is that members of the Gaelic band wear kilts. The kilt is a knee-length skirt with pleats, most often made of wool in tartan plaid, which originated as the traditional dress of men and boys in the Scottish HIghlands in the 16th century. Although most men wouldn’t be caught walking around in a kilt, the men who played the bagpipes at my friend’s funeral did a wonderful job! 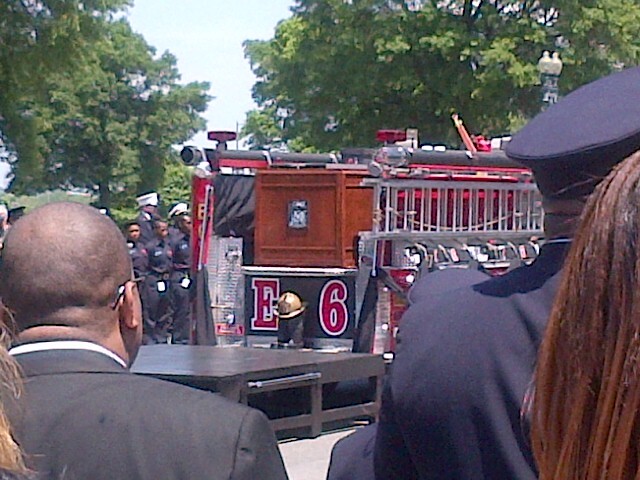 Farewell Lieutenant Kevin A. McRae! ← I’m a Track Star!